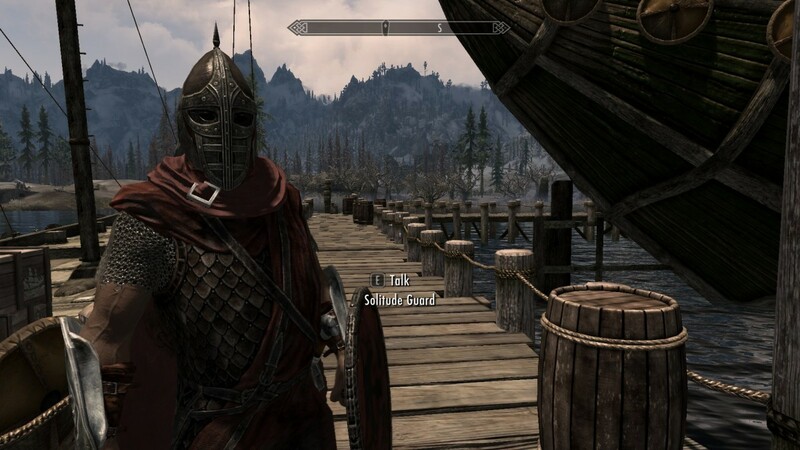 In Skyrim, you are given the option to pick whichever perks you want each level. The max level is 81, so that’s the maximum amount of perks you will be allowed to choose, but most players don’t nearly make it to that level. Also, there are a total of 251 perks from 18 skills. 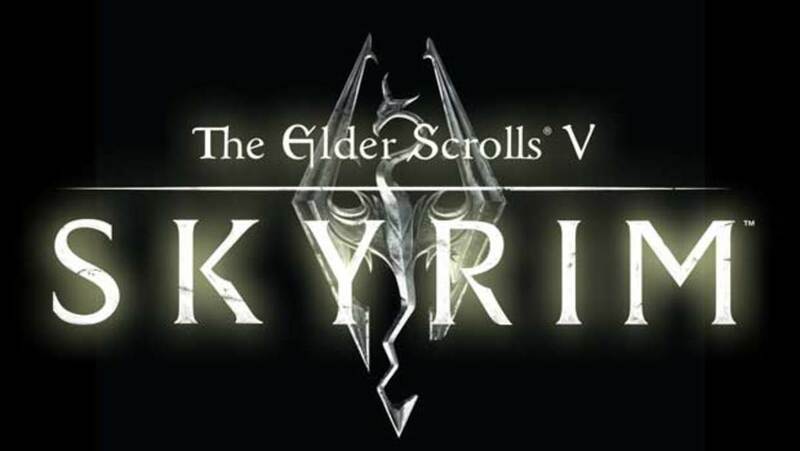 Therefore, through your 50 or so levels in The Elder Scrolls V: Skyrim, you’ll have to pick your perks carefully. Here are the most useful and useless perks in the game. Note: I’m not going to include most of the combat perks, because picking which are useful and useless in those is largely subjective. Also, I’ll go a lot more in-depth with the “Useless” perks, because most, if not all, of the “Useful” perks are self-explanatory. Respite (Restoration 40) – Restore stamina with healing spells? Very useful for most builds, if you use restoration spells, of course. Even if you don’t regularly use healing, you can use it to get you from place to place faster. Recovery (Restoration 30) – A 25/50% increase in Magicka regeneration! I always love passive abilities like this, and if you even use a tiny bit of magicka, this perk is worth it. Green Thumb (Alchemy 70) – This perk helps you collect far more ingredients from plants, and if you invest into the alchemy tree, it adds up very quickly. Extra Pockets (Pickpocket 50) – Increasing your carrying capacity by 100 is awesome, it’s helpful in basically any situation. Wind Walker (Light Armor 60) – The main reason why I prefer light armor over heavy armor – there isn’t a useless perk in the tree. Merchant (Speech 50) – This one’s purely for convenience’s sake, you can sell all your gear to anyone. Fists of Steel (Heavy Armor 30) – Who uses unarmed attacks, especially while using heavy armor? Cushioned (Heavy Armor 50) – Halve damage from falling if wearing all heavy armor… This may help you if you accidentally fall down a large bridge that’s at the perfect height where it won’t kill you, and at the bottom is a large amount of enemies, all while you’re out of potions. Basically, these two Heavy armor perks are only useful for getting the Conditioning perk, so you should decide beforehand if Conditioning is worth choosing Heavy Armor over the Light Armor perk path. Master Locks (Lockpicking 100) – Most of the lockpicking skill tree is actually completely unnecessary. Locks in this game are very easy to pick compared to the Fallout games. I’ve picked many Expert locks in Skyrim and I haven’t put a single point into the skill tree. The only point to investing into them is to get Treasure Hunter (50% greater chance of finding special treasure) and Unbreakable (Lockpicks don’t break). If you aren’t ever short on lockpicks and don’t find most of the lockpicking perks attractive, just skip the skill altogether. Catpurse (Pickpocket 40) – Pickpocketing gold is already very easy, why do you need to spend a whole perk point on increasing it? Pickpocketing is capped at 90%, and if you invest into Light Fingers, many things, including gold, should already be at that cap. It does lead to Misdirection and Perfect Touch (pickpocket equipped weapons and items), but they’re only marginally useful perks. Light Foot (Sneak 40) – Traps barely do any damage anyway, and if you’re at all perceptive, you’ll be able to avoid many of them. Intimidation (Speech 70) – Intimidation only being twice as successful for a level 70 perk… not worth it at all. Especially since there’s usually more ways to bypass the intimidation check, like using money or just beating up/killing the person. Strongly disagree with the list of "useless" perks... I am a squishy Khajit who likes to fight. That perk is specifically designed for me. Good useful part, but overall, very subjective. 5/10. I strongly disagree with the majority of "useless perks"
Fists of Steel isn't useless and Extra Pockets isn't to much useful. Necromage is pretty essential for vampire player. Magic Resistance and Atronach can be useful for all. Where is Atronach? Most useful one in the game. I find duel weilding useful because I cast lightning rune a lot and trash everyone with it. yeah but you have to spend some crappy skills in order to get access to good ones. you can't craft dragon armor without going through the other armors. Oh, and almost forgot! When you Dual Cast Destruction with the perk, you can even stagger Alduin the 2nd time you encounter him when he's reviving the other dragon! 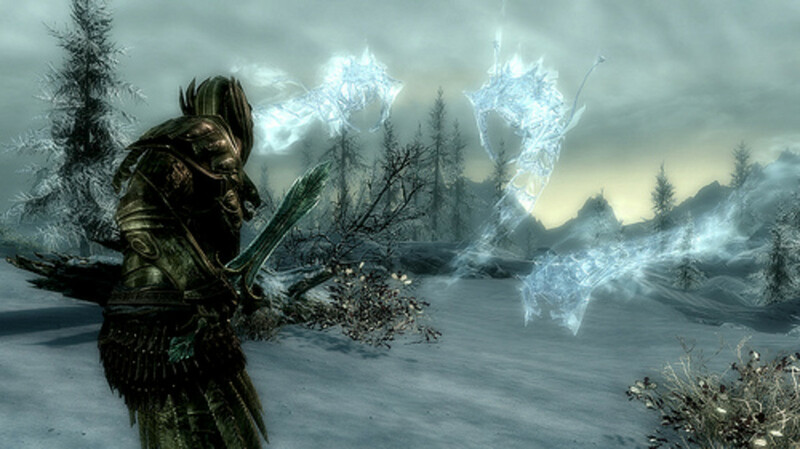 Dual Casting with the stagger perk has managed to stagger anything (EXCEPT THOSE WITH ACTIVE WARDS) and is a must for any self respecting battlemage that wields Destruction as their primary weapon. True, you can be an effective mage without it, but why would you not use it? 1 on 1 with any boss is a piece of cake as long as your magicka doesn't run out and you can get in just that one first hit. Overall, I agree with a lot of your perk choices, but being a battlemage relying heavily on destruction spells, dual casting is a must. I've only discovered at level 21 where I'm weak, being as how rarely the big bosses get to hit me when I'm constantly staggering them with my destruction spells. Dual casting is essential if you intend to use Destruction as your primary attack, but only if you intend to get the stagger perk too. 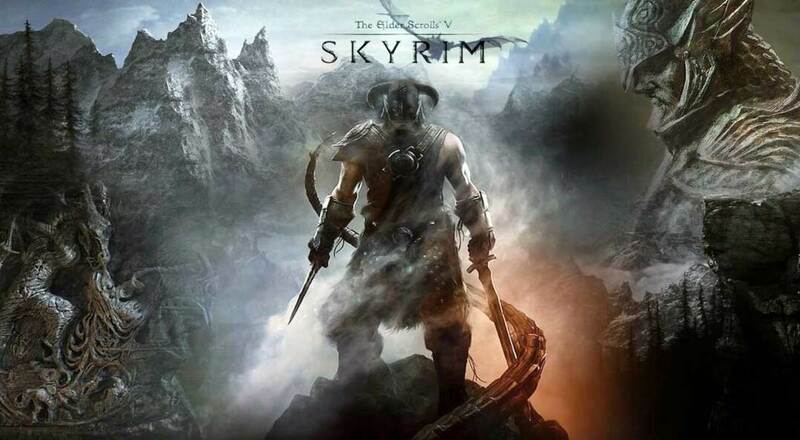 The 2 most useful skills in Skyrim are Alchemy and Enchanting. If you get 100 in both and take all the worthy perks then you can be very powerful. Even without enchanting item for an alchemy boost, you can mix poisions that do 400 damage. You can also stronger alchemy enchants and in turn stronger potions of enchant which then use can use to make stronger enchantments of alchemy, repeat. I only wear cloths right now, enchanted with health and stamina. Never wore armor, I enchanted gloves and a ring with unarmed, punches do about 110 damage. It's really fun. I would agree with most of these, especially the bit about lockpicking. But I would disagree about destruction dual casting. Sure, it eats magicka: but if you're a pure mage character you can gear yourself towards having that magicka, plus as others have noted the stagger is pretty useful. I gave up on my pure mage character around level 30ish but the dual cast fireball I was using on everything was absolutely DEVASTATING, most melee fighters couldn't even get to me from the damage and constant knockdowns, plus for weaker enemies there is a certain feeling of awesomeness and blowing people away with a dual-handed hadoken attack. Fists of steel is useful in brawls. At the time that this was written dual casting is pretty awesome. What makes it awesome is that it staggers every time even against dragons. They may have nerfed this since but as long as you have enough magicka once you get the first hit any enemy, including dragons, is powerless to counter-attack you. illusion is really the only form of magic truly worth a dual cast in my opinion.. i can calm or frenzy almost anything in my path. Some nights around 2am i strip down and creep into a warm nordic home and play puppet master from the shadows on happily married couples.. the winner gets a life of guilt for beating their loved one to death.. after their done tripping out.. i sneak over and place a deathbell flower in the bed, then re-animate the dead spouse as my naked slave and slip off into the night with her.. im a lvl 81 black panther khajiit.. or maybe just a shadow from a moth flying past a candle. Ever tried running from a mob of enemies and getting owned by a spiked door, provides an annoying lolsy death! Light Foot also makes you ignore traps meaning you are constantly hearing BANG!!! OW!!! And then turning around to see Lydia lying dead on the ground. 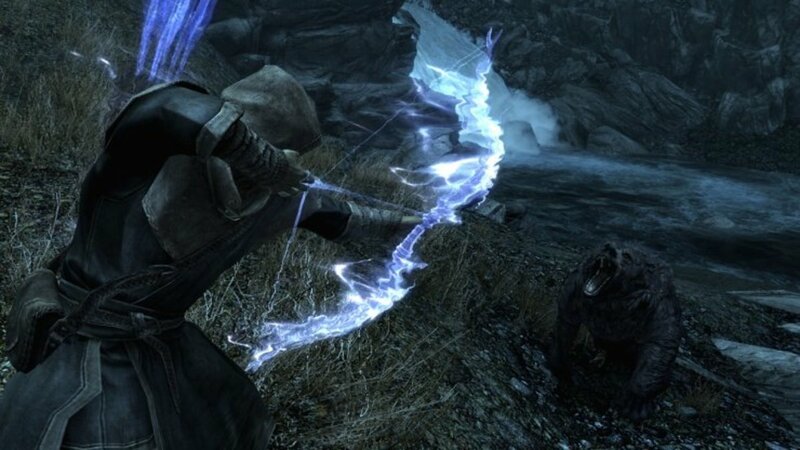 Swinging Spiked Doors are the greatest assassins an guardian's in Skyrim. ALL HAIL THE SWINGDORKIIN!!! You know, this is completely irrelevant, but has anyone gone into Solitude and played arrow roulette? If you`ve watched Grown Ups you`ll know what I mean. I tried it and got arrested for accidentally nailing an argonian while he was walking in the next street over. lmao. Gotta disagree about the Destruction Dual-Casting perk, even without impact. 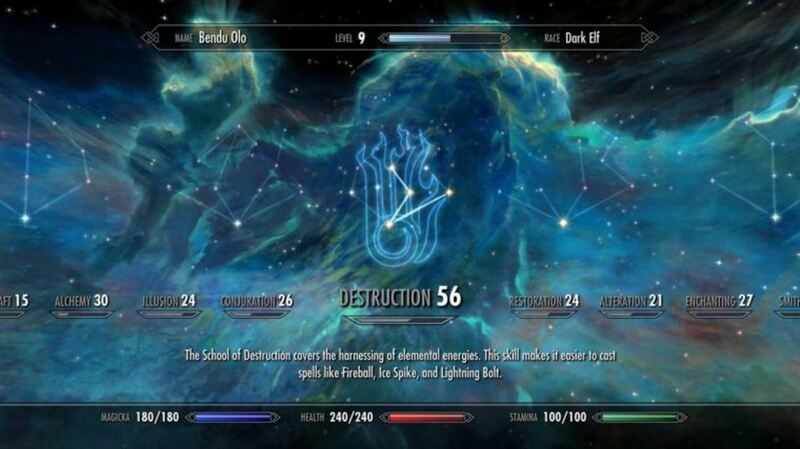 It isn't great (does 220% damage, so 20% more than just two single casts, but uses 280% magicka) but with destruction on Skyrim you need all the damage you can get. Most destruction mage get enchanting to remove the mana cost on their offensive spells anyway, so the cost is irreverent. This list needs some revision, and I'll be glad to oblige. Respite - This, in theory is really good, but honestly, issues stamina brings up are easily bypassed. If you have a horse, traveling isn't an issue. If you don't, Become Ethereal allows you to sprint without stamina consumption. If you find yourself using power attacks, vegetable soup solves all of your stamina problems. Recovery - While this can be a useful perk, I honestly don't think it's worth the be as high up as you rank it. While in battle, magicka regeneration slows to a crawl, but I don't think the difference is that substantial. I think it's really only good for passive spells (Trasmute etc.). You may as well just spend the perk to upgrade the spells to get the job done quicker and spend less magicka. Green Thumb - Same case as Recovery. Nice to have, but isn't as useful as several other perks. Wind Walker - Probably the most useful for Archery Builds, considering melee builds can solve all of their stamina troubles with Veggie Soup. Fists of Steel - This isn't useless because "Who uses unarmed?" as it is "It only uses base gauntlet damage and ignores upgrades". Cushioned - Agreement, considering you can easily fall down a 90 degree angle unscathed. DDC - This is the most redeeming perk Destruction has. It leads into Impact, which lets you stagger lock everything, I think even dragons. If Dragons don't stagger from this perk, Lightning damage can keep the from shouting. Cutpurse - While this isn't super useful, it lets you get money back really easily if you use trainers often. Light Foot - Sometimes can save you in Dwemer Ruins and you have a follower willing to slice you up on Dwemer fan blades. But generally useless. Intimidation and the entire Lockpicking tree are useless. Destruction Dual Casting is one of my favorites if you get enchanting to 100 you can reduce the cost to zero anyway. The Impact perk also goes with it and it staggers ANYTHING even dragons flich when dual casting. Lockpicking is usless unless you REALLY need the extra weight. I also don't choose green thumb as I find plants everywhere anyway. Catpurse can be very useful, especially in large quantities of gold. 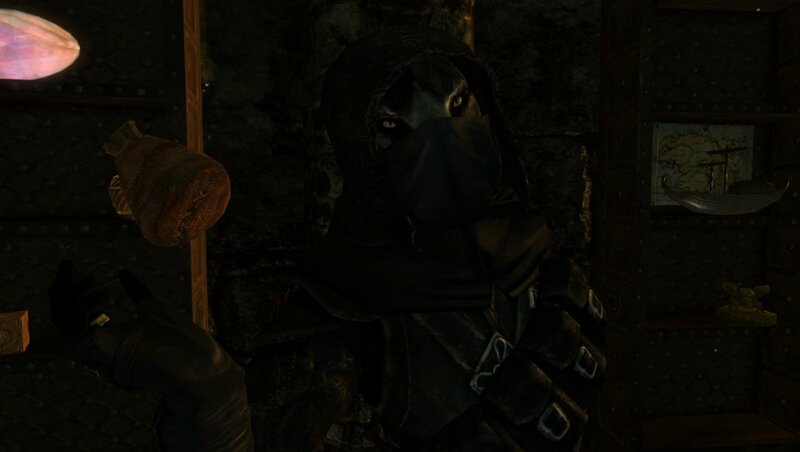 For example: On my first thief, I encountered the thieves guild in which you can train archery, pickpocketing, you know, the general thief talents. The way this perk came into play was training a skill, then pick pocketing the gold back from who trained you, once you get to about level 60-70, the gold is 1000+ per level, so if you want to pickpocket it you have to train it once, pick pocket, and repeat. However with the perk you may get 2-3 in. In other cases, without good enough pick pocketing you may not even be able to pickpocket it back after training it just once. 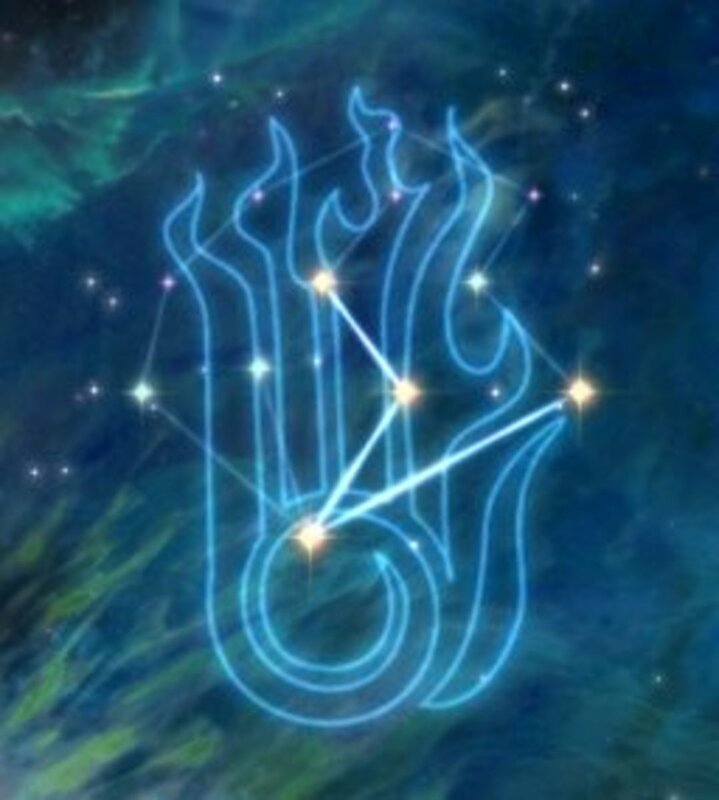 Hey guys... is it worth getting lvl 5 of light fingers?? Sorry for all those typos up there ^^. I believe "Keymaster" is the most useless perk in the game. It gives you a 90% chance to steal any key, but by level 60 in pickpocketing you already have a 90% chance to do that anyway. I could be wrong though. There might be more harder to grab keys further into the game but I have yet to see one and I've been playing for a reasonale amount of time. Cutpurse is not at all a useless perk. Even at pickpocket level 100, stealing over 1,000 gold is not a 90% chance. Being only a level 40 skill(which is easy to get in pickpocketing) and taking only 3 perks to attain, Cutpurse makes stealing large amounts of gold (1000+) always at least a 50/50 percent chance and it's probably. You wouln't be stealing lofty chunks of change without it. It's funny to buy all that high level, expensive training(which can easily cost over $5,000) just to have it all over again because the poor fool made the mistake of turning his back to you. It's basically free high level training lmao. Some of the Useful perks really didn't help me though since I never use Alchemy or Restoration. Especially Respite since I hardly ever sprint or use my Stamina for anything. Really my only sprint is from my Solitude Mansion to the City Gates, and my best friend is Fast Travel and Shadowmere to take me anywhere I haven't been to yet. In the beginning I can see where it comes in handy if you don't have Shadowmere and no money for a horse. But why buy one when you can just steal it? Of course if you get off it'll walk away but that's why I spend a bit of time using the horse to get to some of the cities the carriage won't take me to or if I don't want to spend the gold for a ride. That way I can just Fast Travel to the places and sprint as little as possible (in the lower levels when Stamina is pretty much non-existent). To the guy who mentioned using cutpurse to pickpocket money back from trainers: putting a paralysis potion in their pocket and pickpocketing them as they stand back up is much easier. And I get a good laugh out of it when they fall over like a stiff board! I'm pretty sure you have to get the poisoned perk for this to work, but I'd much rather have that than cutpurse. i like fists of steel but i spose that's cuz i use 2 handed swords instead of 1 and sometimes having a healing spell in one hand is important. Catpurse is useful for pickpocket the money back from trainer, when high level training, and some of the skill are very hard/long to train without trainer. Destruction Dual Casting is very useful with impact, even dragon can't use ANY attack when you keep casting spell on it. Fists of Steel can be good for brawling but well it fits the most useless perk. Green Thumb need to go to the "poison" side of the perk tree, and poison isn't good, on higher difficulty it only deal little damage, so it wasted a few perk for extra herb isn't that good, as you can always buy herb off merchants. Merchant is not as good as most useful one, as you can just either visit more towns, or do thieves' guild quest to have 4000 gold with 3 easy to access npc buy both stolen and all items type. I have never played this game, but I decided it looked really useful, so I sent it to my buddy here on Facebook, and he said it helped a LOT! Thank you for posting this, it has pushed my friend in the right direction! respite and windwalker and even the redguards adrenaline rush usefulness is reduced when you just eat some soup. you wont run long but you can powerattack all the time. green thumb? buy or explore! merchant? i don't know with you but the other shops are just next door. the whole lockpick tree is useless if you just practice, and lockpicks are all over the place. The destruction dual casting is very useful only when mixed with impact since it makes the enemies stagger. My pure mage is level 49, and the only way I reached that was running backwards away from enemies and making them stagger. But now that I'm level 100 in enchanting, I don't even use magicka for casting spells- because my ring, headgear, amulet, and body armor all give me -25% magicka use for destruction, so basically I just shoot at everyone. haha.